A timeless image harnesses the power of light and shadow, movement and emotion, style and beauty. During his seminar on beauty makeup for photography, Roque Cozzette will team up for the stand out series “makeup mixology” where the application techniques that enhance shape, create the illusion of depth and produce interesting textures on perfected skin at set in tone by two of the industry’s best. You will learn on-set etiquette and how to take art direction from a photographer and mesh it with your artistic vision for a complete creative collaboration. The skills taught, which lead purpose to the best outcome in beauty photography lighting, will address the use and purpose of color theory while using cream color, eyeshadows and makeup brushes to create images that pop. These methods of perfecting skin tones, contour and highlight for multiethnic clients, how to make significant choices that enable client retention. 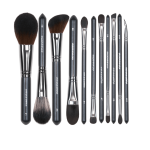 You will also learn about Cozzette Beauty, Danessa Myrick Beauty & Kett Cosmetics Collections, proper makeup brush techniques and how to master the mixing and layering of formulations to create endless beauty options. The focus will be on beauty makeup appropriate for celebrity, bridal, editorial print, and HD. These methods will increase your professional abilities by combining the knowhow of the industry by empowering the right tools and to create the portfolio of your dreams, which is the best way to market your talents to new clients. Makeup Theory For Digital & HD Color Theory, Makeup Tools and applications. Complexion insight will be the focus. Building a makeup for the digital world. *Attendees take notes to be quizzed the following morning. Artist may do makeup on each other if necessary. The art of photography & HD Makeup Techniques. (Makeup Demonstration) Interaction – *Attendees take notes to be quizzed the following morning. Roque will photograph a model as an example of the how to for digital photography. All attendees perform makeup on their model and participate in a live photoshoot. (1 Makeup Look) Inspiration – *Attendees pull tears that inspire their makeup look. We will work together for final looks on day 3 Photo shoot Day. Each attendee is expected to arrive with set intentions for this experience. 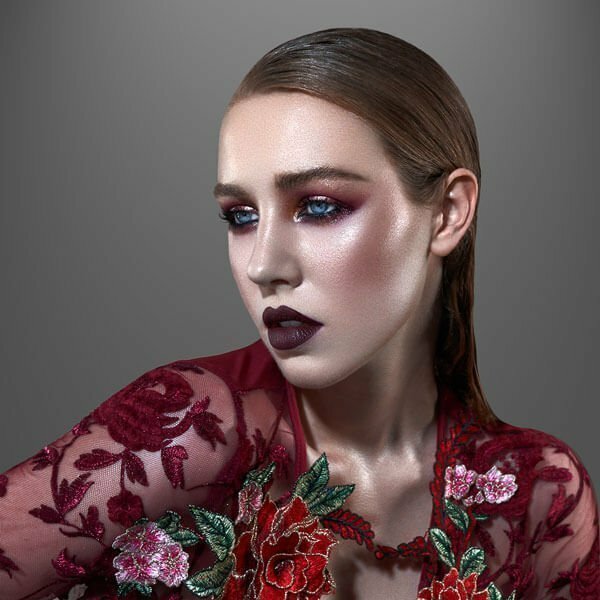 As anattendee, you will learn the difference between traditional makeup and modern digital makeup techniques and how to apply them to the appropriate client. You will learn technical information and backstage etiquette live on-set in the studio necessary to collaborate with photographers to create a portfolio. You will learn from working industry professional veterans the how-to’s on many levels of makeup, photography, advanced and airbrush techniques. Attendees will learn the how, what, why and when to apply a variety of techniques appropriate for different levels of makeup to co-create with clients and achieve the highest outcome. Client retention and knowhow are exampled throughout the seminars.